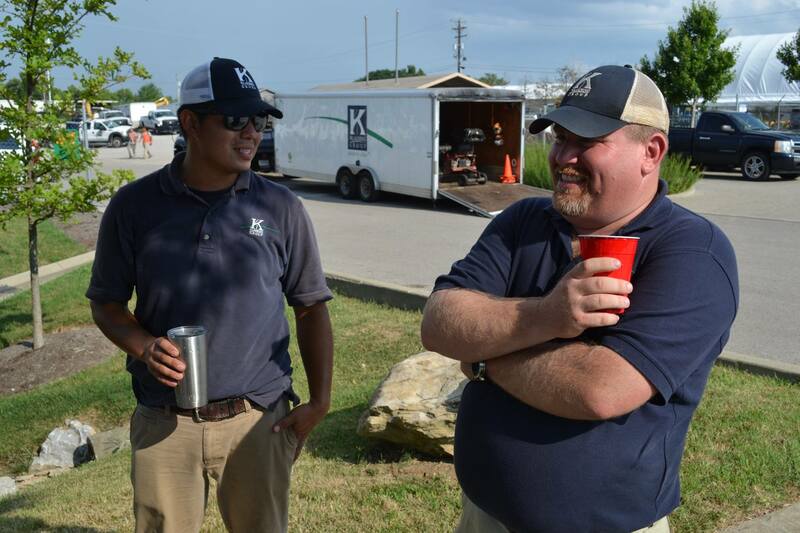 Dallis Crowe heard about Klausing Group while he was working at another landscaping company in Lexington, Ky. He knew it had a great reputation in the community, and understood the firm’s philosophy was that your landscaping can do more. He was intrigued. “I thought it would be a great company to work for, and their thinking was in line with what I wanted to do with my career,” he says, relating that he saw opportunities to advance. Crowe joined the team five and a half years ago as an assistant crew leader. Within six months, he was promoted to crew leader in charge of a team in the field. In the field is where Crowe thrives. “I love to be outdoors—it’s why I got involved in the green industry,” he says. 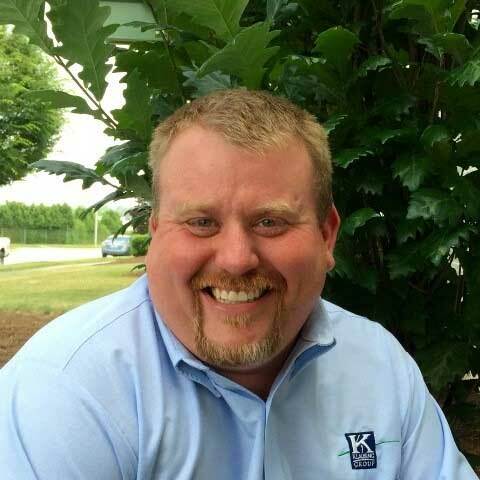 Next, Crowe moved up to maintenance and operations manager for Klausing Group in Lexington, before being named branch manager. Today, he is operations manager for Klausing Group, splitting time between the Lexington and Louisville locations. As operations manager, Crowe oversees the morning launch to get the crews out the door in the Lexington branch. He might move on to Louisville and discuss operational issues with field supervisors, the production manager, and lawn and shop managers. He checks the daily schedule for direct reports, and also keeps a close eye on the job forecast module, budget reports and code receipts. Crowe is the guy who greets crews when they return at the end of the day. “We see how the day went and discuss any issues,” Crowe says. The most challenging part of Crowe’s role is that he must be prepared to solve problems. But that’s also his favorite aspect of the position. “I love that every day is not the same routine and there are challenges that we must overcome,” he says. 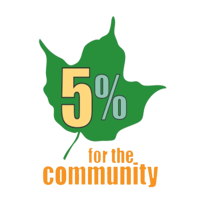 Klausing Group, founded in 2001, is a commercial grounds management and landscape construction firm. Our values are professionalism, integrity, responsibility, education and passion. We are a leader in landscape industry certification and known for our commitment to creating and maintaining landscapes that do more. Want to learn more about careers at Klausing Group. Fill out this simple contact form, or call us at 859.254.0762 in Lexington and 502.264.0127 in Louisville.